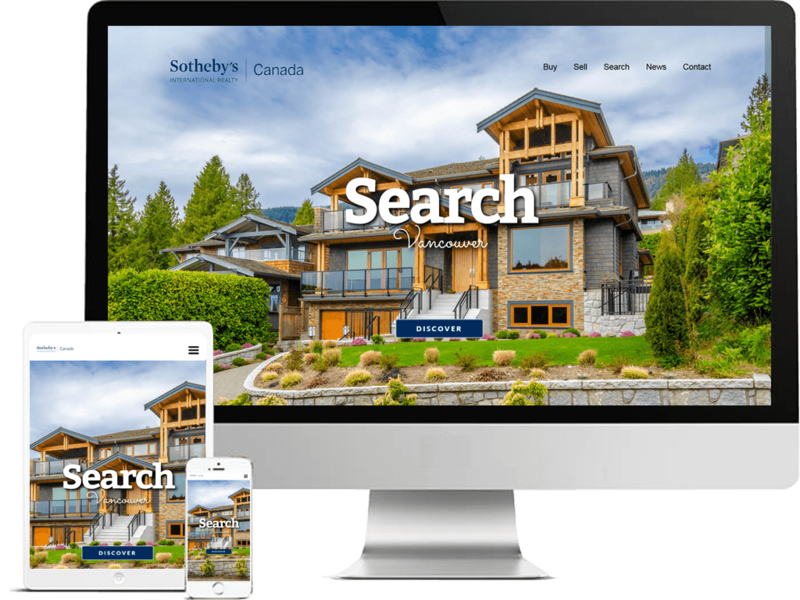 Putting a heavy emphasis on photography and user-experience, our websites will elevate your brand to new heights while also making it fun for home buyers and sellers in your market to learn about your business and start browsing what’s currently listed. And while our approach and our standards always remain constant, every website we do has its own unique characteristics that are specific to each client’s individual needs and wants in a new site, ensuring your brand stands out from the competition. Interested in building a real estate website you can truly call your own? To get a better idea of what we have to offer, take a closer look at just some of the websites we’ve created below. 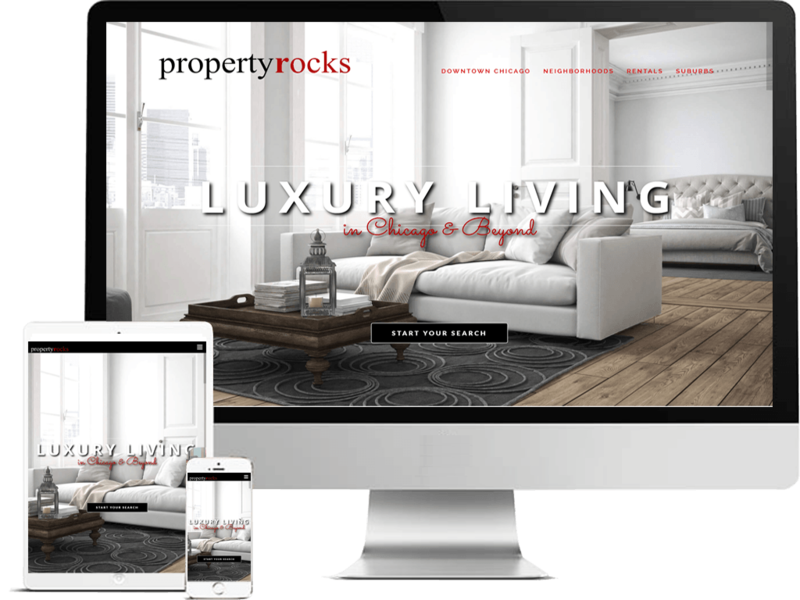 As a small real estate brokerage that covers both the city and suburbs, the PropertyRocks team wanted a website that is all about user experience. 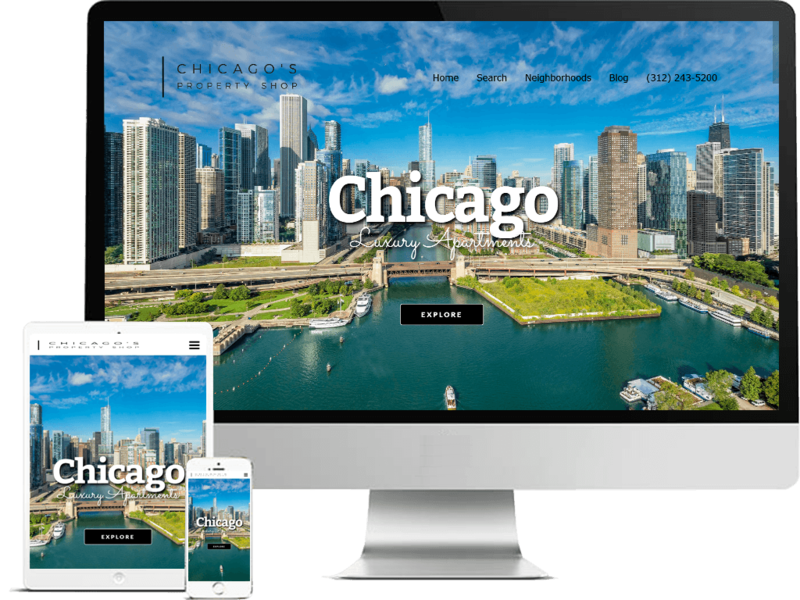 In addition, with so many real estate websites now cluttering up the local Chicago market, one of the primary goals behind this project was to create something that’s both visually stunning and fun for home buyers and renters to use. We think we knocked this one out of the park, but take a look for yourself and let us know what you think. 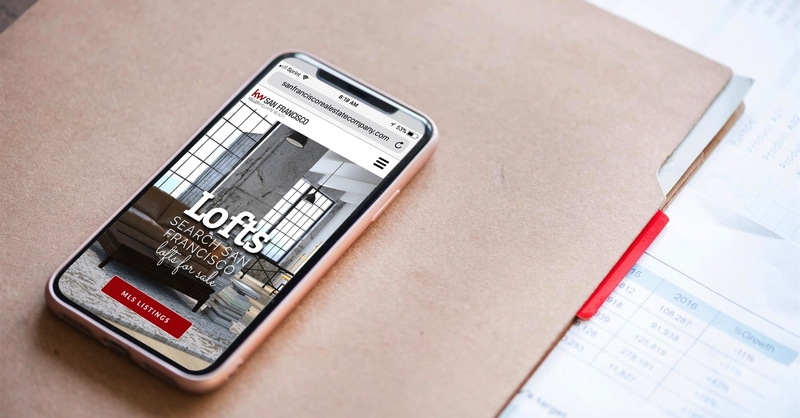 After working to build the Chicago Condo Finder brand to be one of the most recognizable on the web, our latest project is designed to make Sam, Helaine, & the rest of the Chicago Condo Finder team the faces of new construction in Chicago. 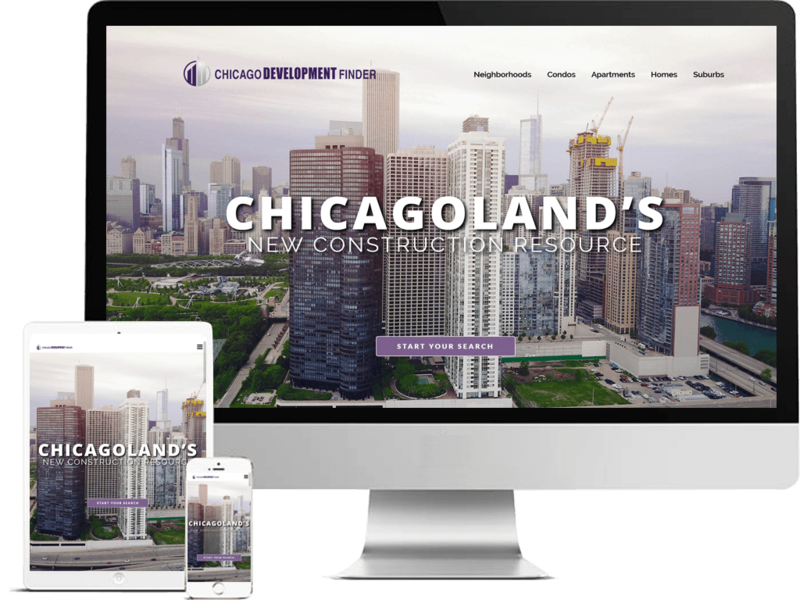 Their latest website asset, Chicago Development Finder, is specifically designed to help home buyers search new construction while also putting Sam & Helaine at the top of Chicago’s robust new construction market. Tired of steadily increasing costs from other real estate website vendors, Tony decided it was time to take back control of his business and wanted to launch something that was both an upgrade over his previous website, yet more affordable to maintain all at the same time. We were definitely up for the challenge and met all his expectations along the way. In fact, his impressive new website still ranks as one our favorites that we’ve done to date. Sonoma Isles is a premier new construction community that George and his team aim to be top producers at in beautiful Jupiter, FL. 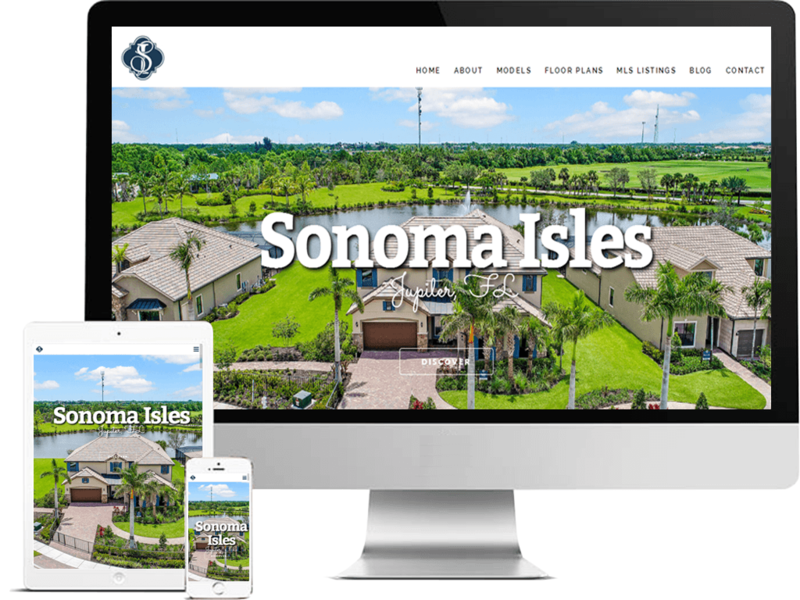 This spectacular website not only provides home buyers with a great resource for information about Sonoma Isles but is also designed to capture their information should they want to learn more about what each floor plan has to offer or perhaps even schedule a tour of the available models as well! 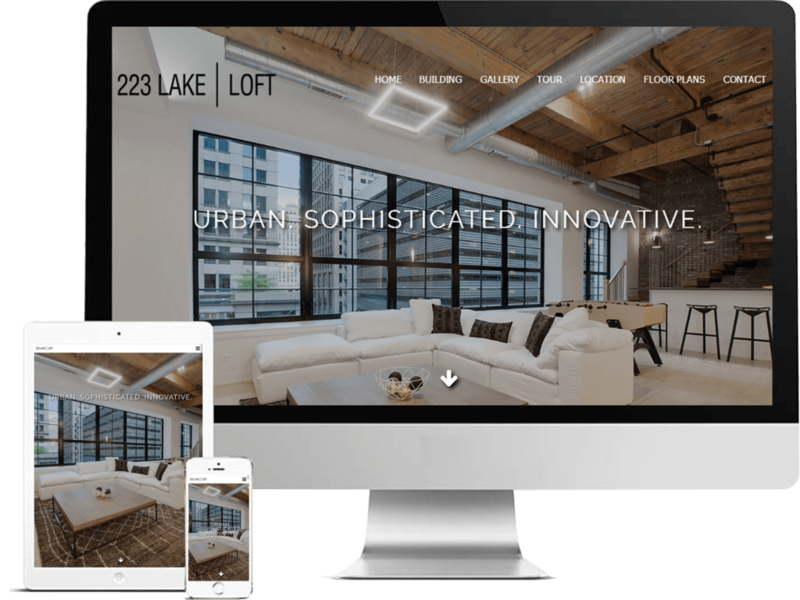 Specializing in Chicago’s robust luxury apartment market, the Chicago’s Property Shop team needed a website that focuses solely on this segment of local real estate landscape. As you’ll quickly see, the website’s vibrant photography and easy-to-navigate layout allows apartment hunters all over Chicago to narrow down their search options accordingly and view available listings that match exactly what they’re looking for in a new place to live. With the launch of a fabulous new 8-unit loft conversion right in the heart of downtown Chicago, listing agent Helaine Cohen needed a strong, professional, and stylish presentation that would both satisfy the developer, and capture the attention of buyers who might be interested in what these luxury lofts have to offer. One of our favorite projects to date, we’ve gotten very positive feedback about this ultra-chic presentation. 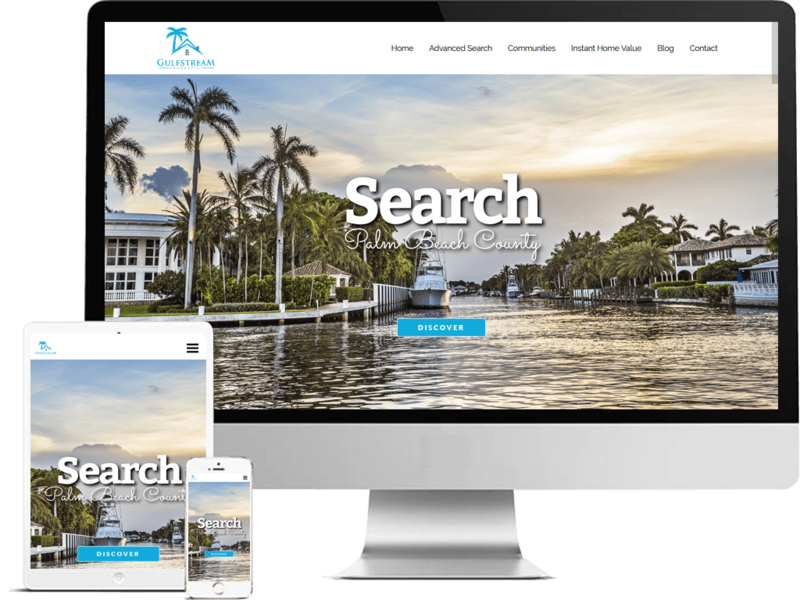 Looking to move way from a different website provider, Gulfstream Properties reached out to Real Estate Web Creation after seeing another one of our websites in a totally different market. Impressed with our contemporary approach, we were a perfect fit for what George and his team were looking for in a new website partner, and his site is definitely one of the more impressive we’ve done so far. 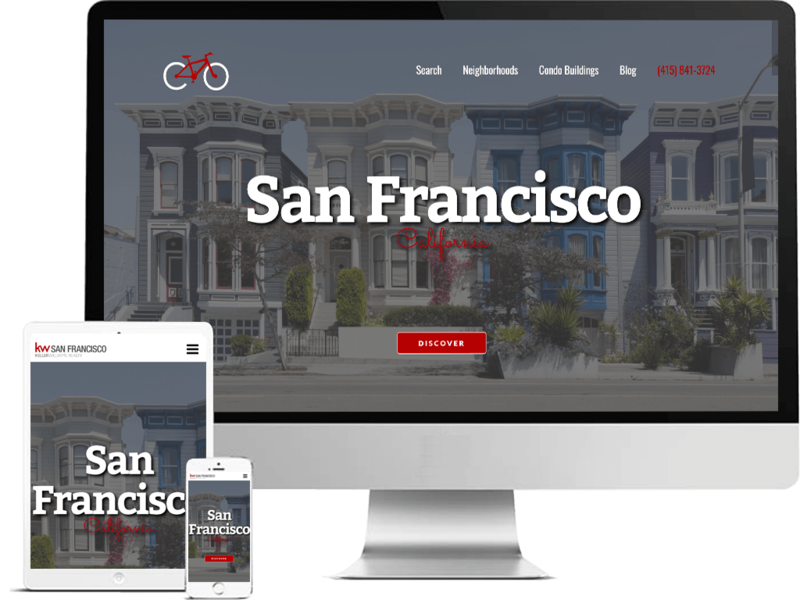 San Francisco Real Estate Company is a brand we’ve launched from the ground-up. 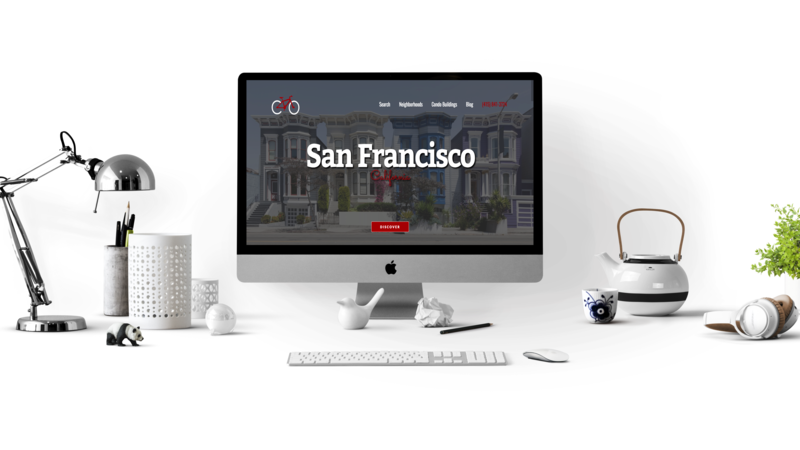 Arguably one of the best places for local home, condo, and loft buyers to begin a search in the San Francisco area, this website breaks down your search from neighborhood and property-type all the way down to top condo and loft buildings in the city. Definitely check this one out when you have a few extra minutes.